Salt is a primary tool of any Witch, regardless of the personal path. Sacred to all ocean deities and considered one of the most sacred substances of earth. It is a representation of earth herself in a mineral form. Salt has many meanings. It is incorruptible itself, and preserves other things from decay, and hence it is an emblem of eternity and immortal life. It typifies wisdom and friendship. It was included in pagan sacrificial rites, and also in those of the Jews, and from time immemorial it has been used as a protection against all forces of evil. Salt is used in traditional magical practices for blessing, grounding, protection, and cleansing. In Wicca, salt is sprinkled to purify and create the sacred circle. It is frequently used as a base for other ingredients in powders, floor washes, bathing spells, and charm bags. Sprinkle around the four corners of the room and add to bath water to protect and dispel evil. Sprinkle black salt on doorways to keep undesirable influences away. Salt represents prosperity. It was once used to pay salaries in ancient Rome: the word salary comes from the Latin sal, for salt. Many superstitions arose around spilling salt because of its preciousness. Add salt to dark leafy greens to increase your income. 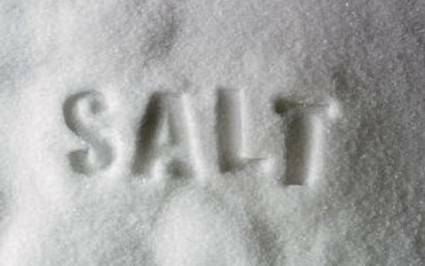 Salt is seen as a feminine, nurturing mineral, whereas sulfur is thought to be the male, destructive mineral. Salt works in banishing spells by breaking up or splitting apart any negative influences, due to its purity. It is used in holy water and is a staple on most altars. To eat another man’s salt is to establish a mystical bond between host and guest which neither can afterwards ignore with safety. The First Foot in Scotland and northern England often brings salt with him, signifying prosperity, see First Footing. On the other hand, to help anyone to salt is to “help him to sorrow,” and a dark spell to make fruitful land barren was to curse it and sprinkle it with salt. In the old days, in the English north-midlands, oaths were sometimes taken on salt instead of on the Bible. It was confidently believed that a prayer offered near salt would be answered. If a plateful of salt was brought by the parents to a baby’s baptism and held near him during the service, he would be certain of Heaven when he died. 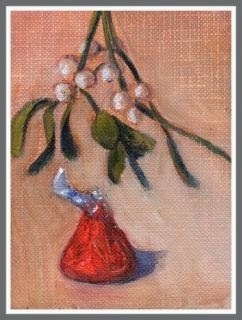 As late as the 1940’s it was still quite usual in many districts to put a pinch of salt and one of sugar into a baby’s mouth when he first visits another house, or to include a little among the first gifts made to him. A little salt in a cradle protected an unbaptized child, a heap in a pewter plate set on a corpse kept away demons and prevented swelling. In the English midlands, salt and water, mixed three times, signed with the sign of the cross, and sprinkled over any unlucky thing, would remove the bad luck. Zinc is the metal of magical revelation. It appears innocent and ordinary in its physical state, but on the other levels zinc is an extraordinary event with powerful transformational properties. One of the most fascinating metals to work with in energy magic. The metal zinc is associated with the planet Uranus. According to medical astrology Uranus rules the potential of the nervous system, the rhythmic processes of the nervous system and the lower extremities. If these processes don’t work properly they can cause agitation, nervous excitement, restlessness, panic and irritation, a great mobility, spasms and cramps, stammering, rhythmic disorders in for instance the heart or nervous asthma. Uranus is the only planet with a divergent rotation axis; in astrology Uranus is connected with renewal, moderation, revolution, originality, progressivity. The god of heaven and cosmos Uranus granted man the divine flame (electricity, intuition, sudden insights) and the feeling for cosmic rhythms. In fact Uranus gave man cosmic consciousness, and in the realization of each and everyone having a divine core …freedom, equality and brotherhood were born. Aquarian people connect with like-minded people no matter their background or differences, and they are led by their intuition instead of outward authority. Aquarians are quick-witted with a lot of (electric) brain activity, like inventors, advanced technicians. Medical astrology places the potential and the rhythmical processes of the nervous system under Uranus. Zinc as metal was discovered in the same timeframe Uranus was discovered. Everyone (equality!) could buy objects of this material because of its low price. 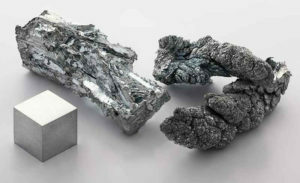 Use zinc in rituals, spells and amulets promoting originality, relying on flashes of insight, renewal, inventions, advanced technics (computer, space-ships), cooperation within a like-minded group, humanism, freedom, moving out of stress. A zinc pendant or little zinc plate on a necklace – or a zinc supplement – can calm down a surplus of electricity. Possible symptoms are: nervous stress, restless legs, nervous asthma, hyperventilation, stammering, nervous heart complaints, epilepsy, cramps, agitation. For the same reason eat food with a lot of zinc, like whole grains, fish, meat, eggs, nuts and beans. Or drink water in which a piece of zinc has been laid for 6 to 24 hours.